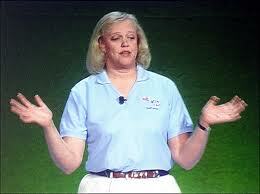 In wine country, and in other agricultural regions of California, the wind is suddenly blowing in favor of Meg Whitman for governor. E. & J. Gallo, billed as the world’s largest family-owned winery, has contributed $50,900 to Whitman since the end of September, campaign finance reports show. West Coast Grape Farming ($10,000), the Wine Institute California PAC ($15,000), Bounty Hunter Rare Wine & Provisions in Napa ($25,900), Araujo Estate Wines in Calistoga ($5,000) and Regusci Winery in Napa ($3,000) are among the other wineries that have donated to her cause.